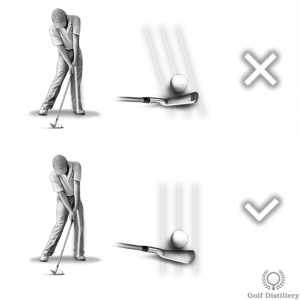 As the name of the golf swing error implies, locking up the front knee involves gradually straightening the left leg during the downswing. At impact, the error is clearly visible through a left leg that is completely straight, with no knee flex to be found. 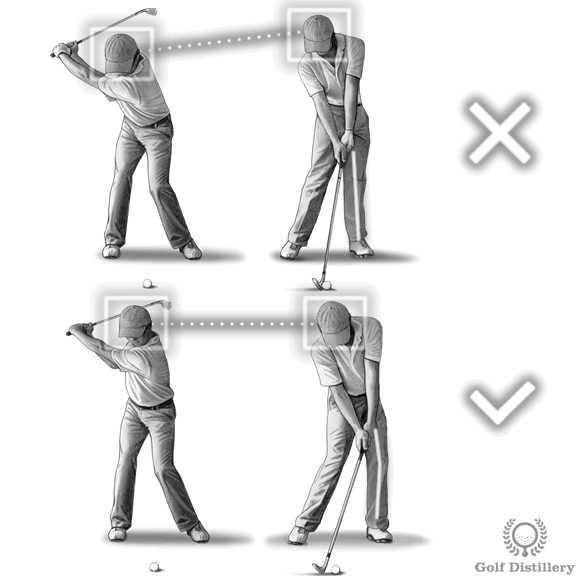 This is in direct contrast to a better swing that sees the left leg retaining some level of flex at impact. 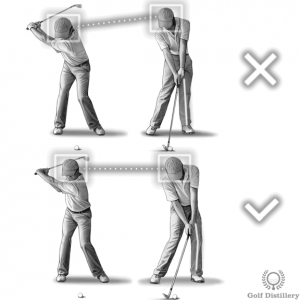 Indeed, the flex that was first set at address in your knees should be kept mostly intact for the duration of the swing, or at least all the way through impact. 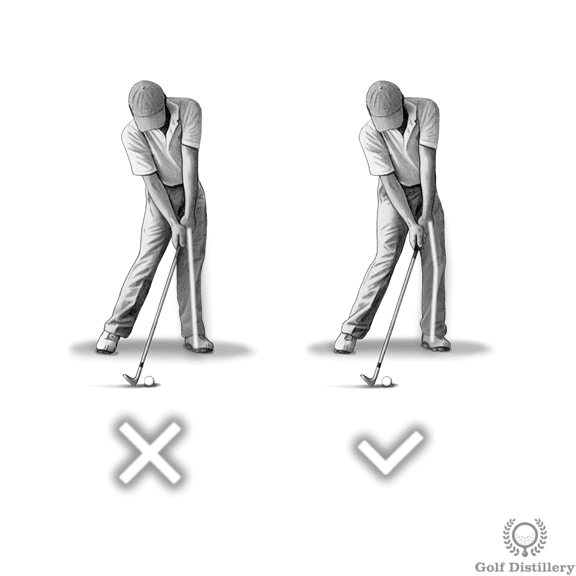 Only during the follow through should the weight of the golfer reside almost entirely on the left foot, and supported by a straight left leg. The main problem associated with losing flex in your left knee at impact is that it changes the angle and direction of your hips. 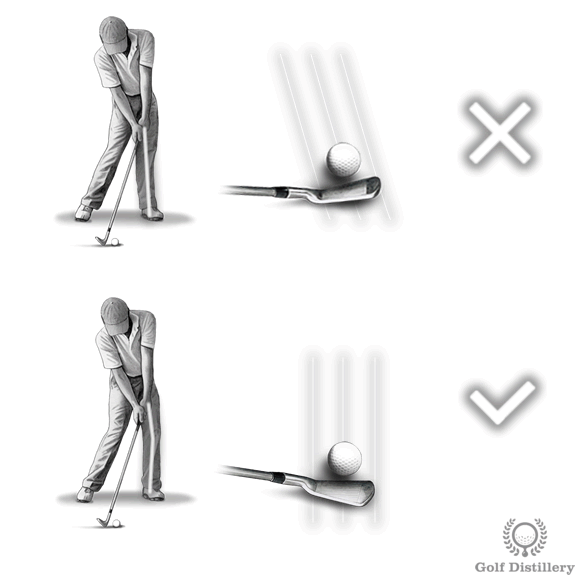 Indeed, whereas hips are meant to coil and uncoil without much movement to the sides, the process of straightening the left leg as you head into impact will pull your hips towards that left leg. And in doing so, it will also close your hips to the left. And as a result, an outside-in swing/club path will be difficult to avoid, resulting in shots that will tend to spin from left to right. 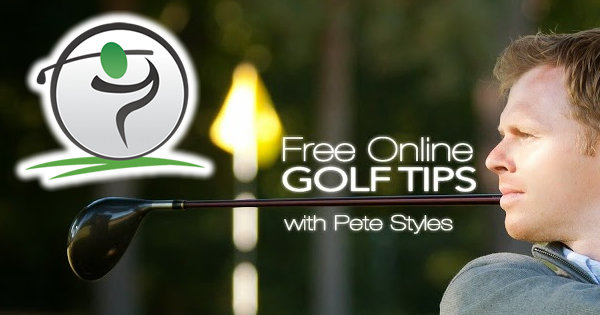 While not tragic in itself, an outside-in club path makes it difficult to hit shots that fly straight to the target. 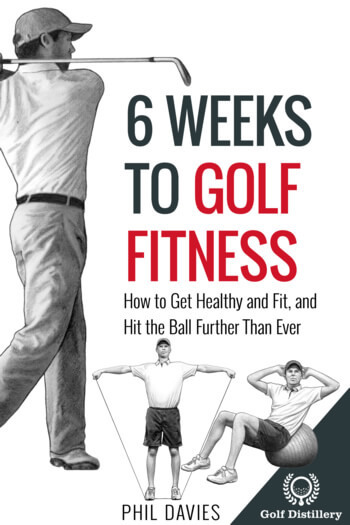 Although it is trickier to stop locking up the left knee at impact than it is to stop locking up the right knee at the top of the swing you should still strive to do it. And one of the best ways to go about doing this is to focus on your head, which acts as a proxy for how your leg acts. 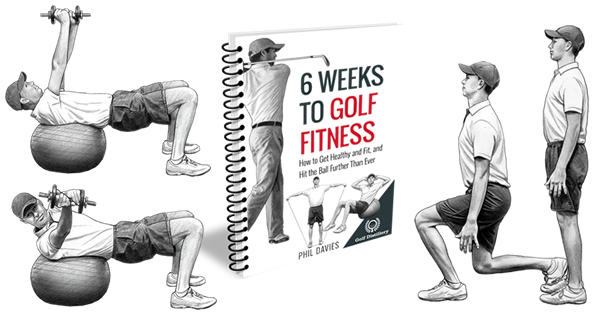 Indeed, if you are to focus on keeping your head in the box, i.e., to focus on keeping it still in its location in the air both vertically and horizontally, you will improve your odds of keeping the flex in your left knee constant throughout the swing. This comes from the fact that straightening your left leg would push your head higher as a result of the hips being pushed higher too. Focusing on keeping your head still should force your hips to remain at the same vertical level, which should ultimately help keep your knees from locking up.